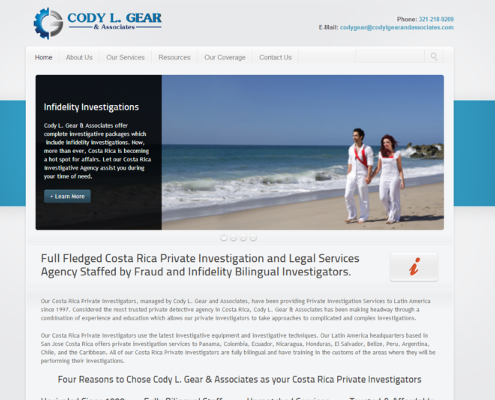 Cody L. Gear came to us after he began to lose Google Ranking at a very fast rate due to Outdated SEO Techniques. 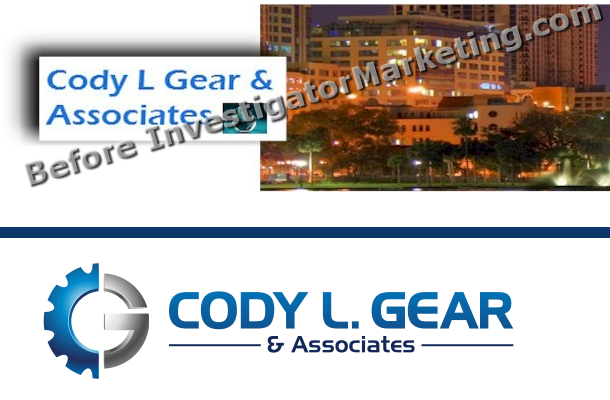 Upon receiving his assignment, we instantly began to work on an SEO Strategy to stop the decline on Google pages. 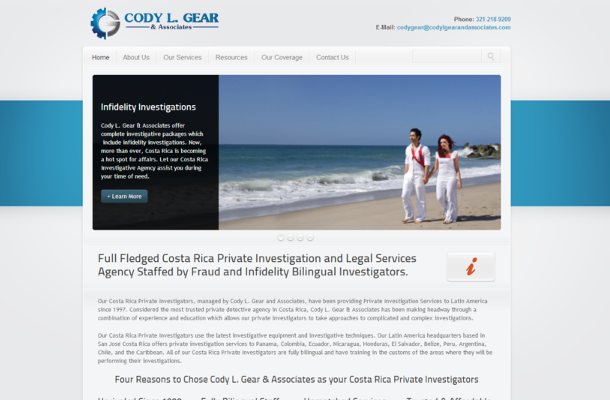 Aside from dropping to lower page ranks, Cody L. Gear & Associates was looking for a full Company re-branding campaign. 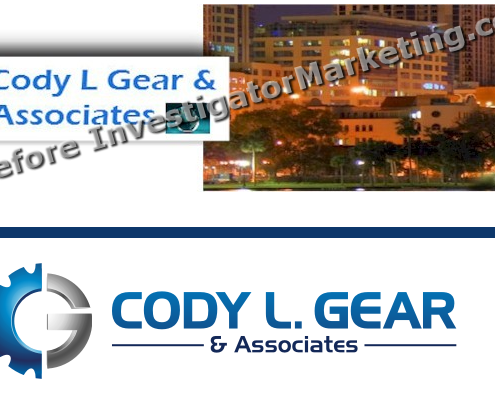 In order to achieve this, we redesigned a new company logo that incorporated the company name. 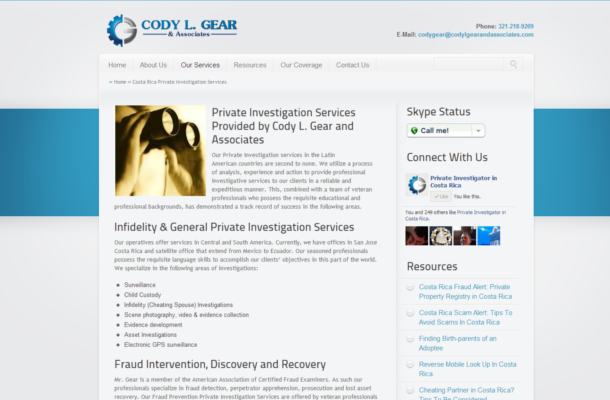 We then re branded their social media accounts, and lastly, we launched a website that would better fit his company style, colors, and newly launched brand. 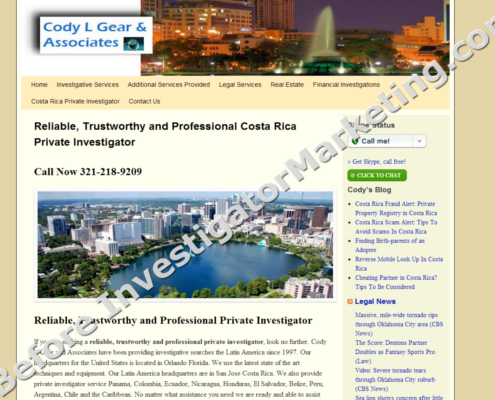 Our work was completed a week after receiving the assignment. 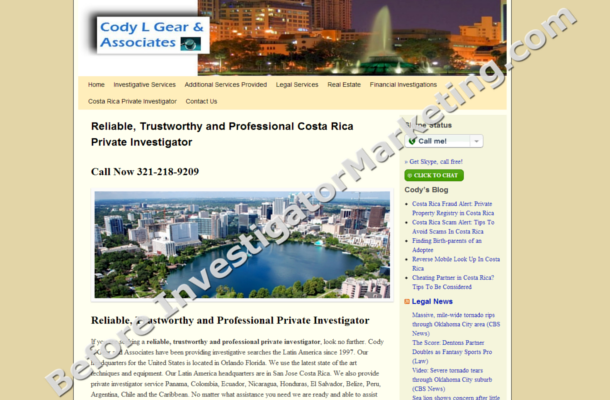 He now rests in a solid 3rd & 4th Place on Google’s first page for Private Investigator in Costa Rica. 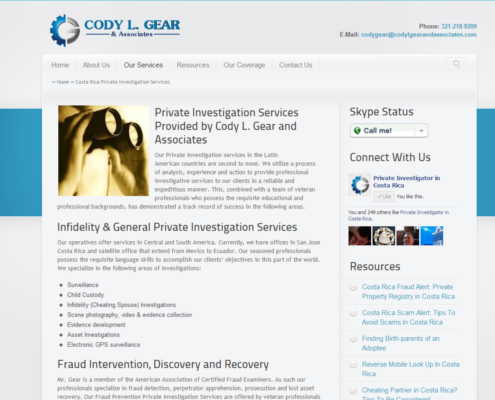 See Cody L. Gear & Associates page by, visiting their webpage.